Uniquely ours, delight in the refreshing citrus fruit flavors of this one of a kind tea. 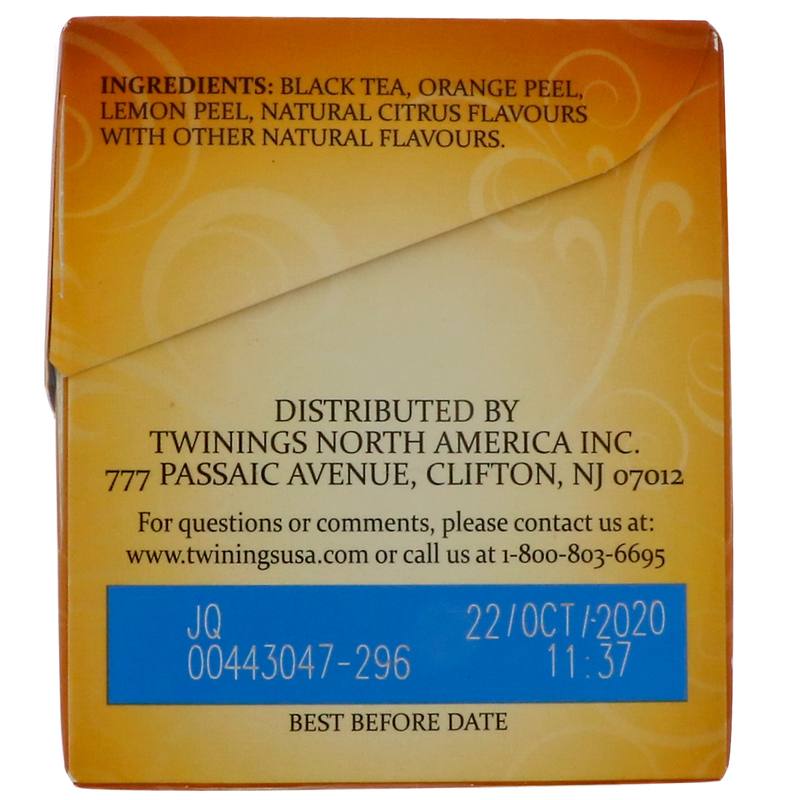 In 1706, Thomas Twinning began selling fine tea from an English storefront in The Strand, London. Today, Twinings continues to sell some of the world's best teas from the original store and in more than 100 countries throughout the world. 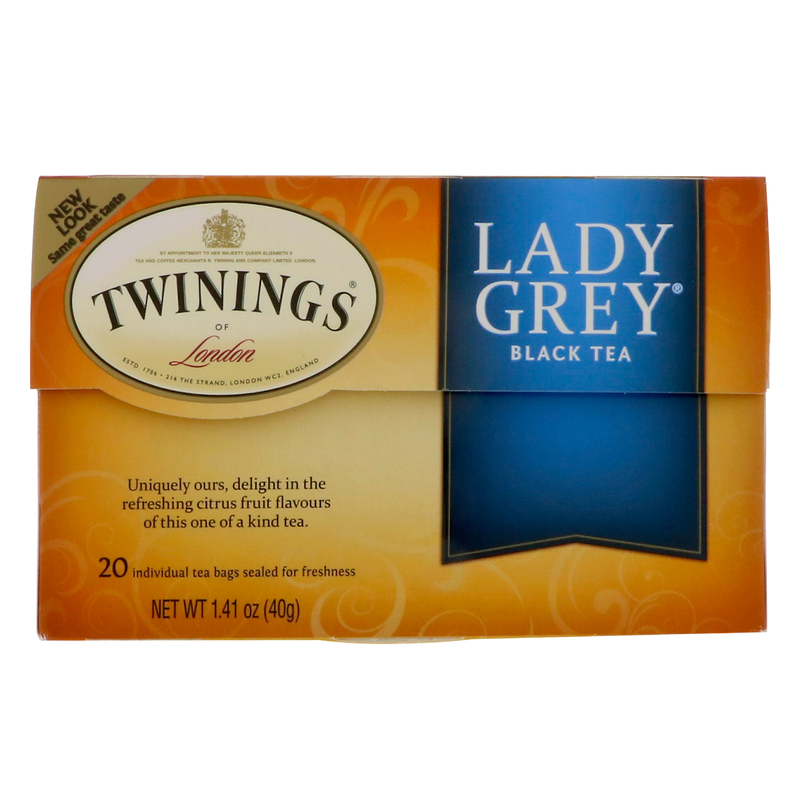 Legend has it that the second Earl Grey was presented with an exquisite blend of tea by an envoy on his return from China. He liked it so much, he asked Richard Twining to recreate it for him. Richard did so and that blend would become known throughout the world as Earl Grey tea. 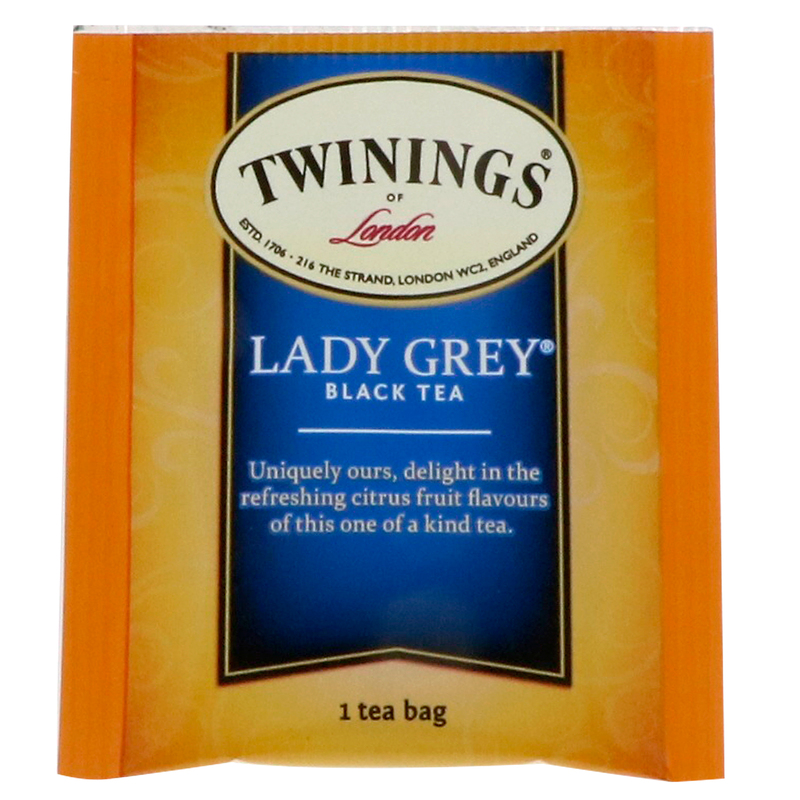 Although it's hard to top an original, our continuous pursuit of new and unique teas brought forth Lady Grey tea - a softer, more elegant version of Earl Grey tea developed exclusively by Twinings. This aromatic blend starts with teas carefully selected from distinct regions, each with their own unique characteristics. The light, mild taste originates from teas grown in the humid, subtropical climates of China and Central Africa, while low-grown teas from India provide its bright, amber color. Orange peel, lemon peel and other citrus fruit flavors are then added to yield a fresh, uplifting tea that just may become one of your new favorites. Black tea, orange peel, lemon peel, natural citrus flavors with other natural flavors.